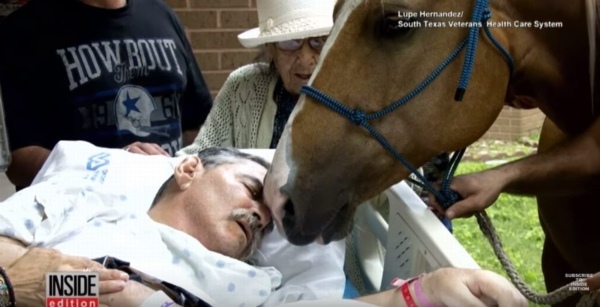 A Dying Man’s Final Wish is to See the Faces of His Favorite Horses!!! Here is a man who is near death in a hospital in the state of Texas in the United States. His name is “Roberto Gonzales” who suffered serious injuries while serving as a soldier in Vietnam more than 30 years before. He was paralyzed for life but ended up having a successful career as a rancher and breeder of horses. 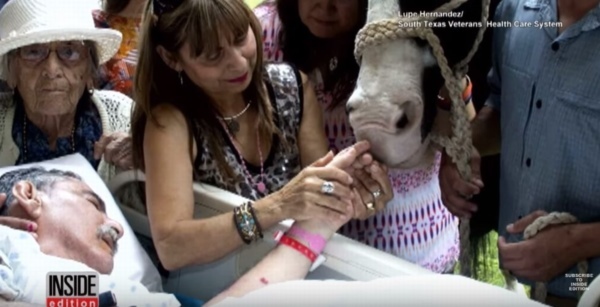 “Roberto Gonzales” had one final request during his last hours on earth which was quite unusual. “I want to see the faces of my beloved horses one last time. 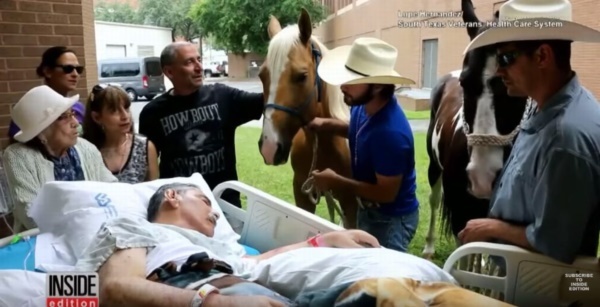 To fulfill that request, the hospital and the Gonzales family of Gonzales cooperated and brought two horses from the ranch. 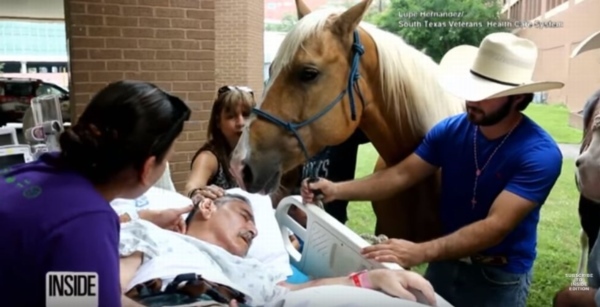 The two horses visiting the hospital were named “Sugar” and “Apple”. The horses looked concerned as they approached their weakened owner. Mr. Gonzales gently touched the face of the horses. After that, the Gonzales family and the two animals stood near to the dying man in silence until he quietly passed away. How do you want to have in to ends your life? I think that many people may have a special request like Roberto Gonzales and we all hope that we will be together with friends and family during our final moments on life. 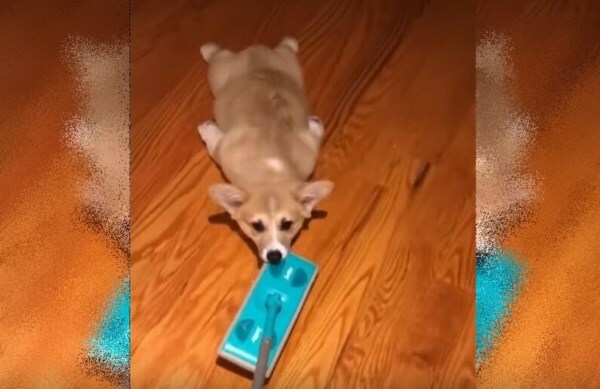 Watch a Tiny Corgi Become a Canine Cleaning Tool in this Adorable Video!!! 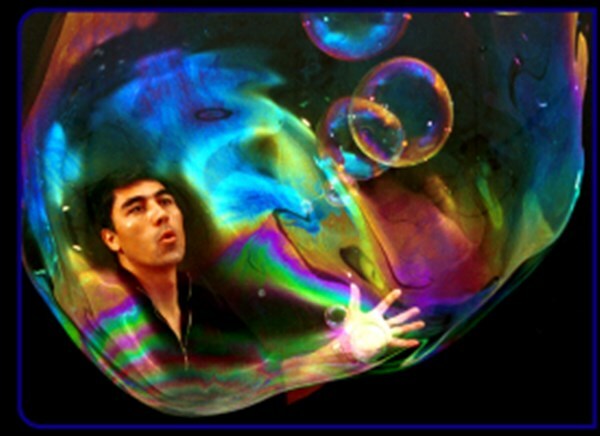 A Soap Bubble Artist Family Creates Bewitching Bubble Beauty Magic on Stage!!! 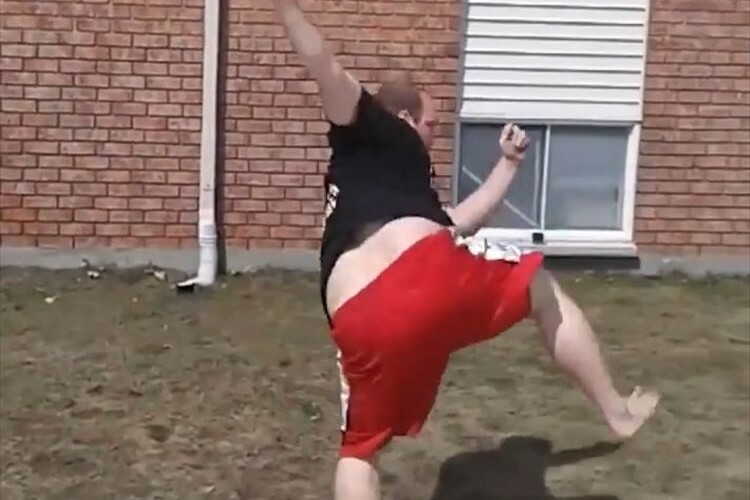 See the Astonishing Moves of a “Real-Life Kung-Fu Panda” on Video!!! 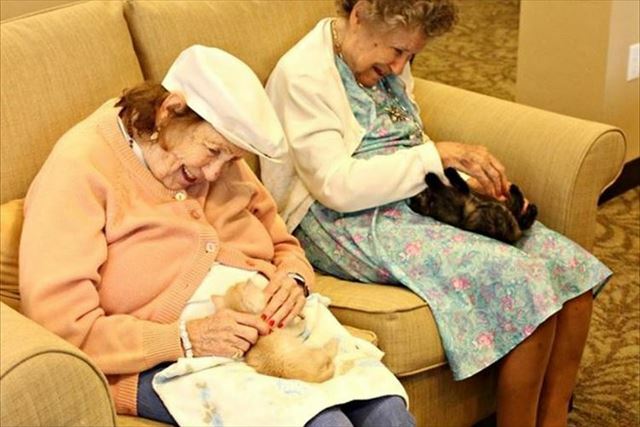 This “Kitty Care Program” Allows Seniors to Enjoy Some Feline Friendship!! !